A brass replica of the Turkana Boy skeleton is part of the monument marking its finding site in Nariokotome. For those who are fascinated by the fundamental questions of who we are and where we come from, there is no better place to follow the traces of our ancestors. 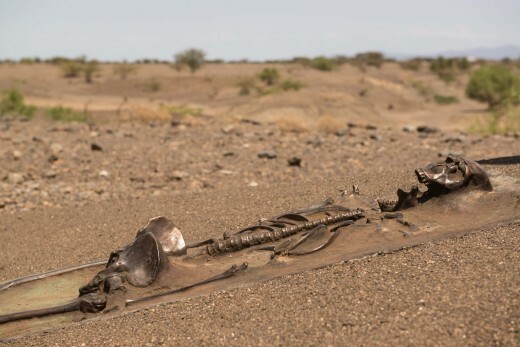 Some of the most significant archeological findings of pre- and early manhood have been made here, and Turkana Land righteously claims the title Cradle of Mankind. This is the place where all humans stem from – so: Welcome back home! 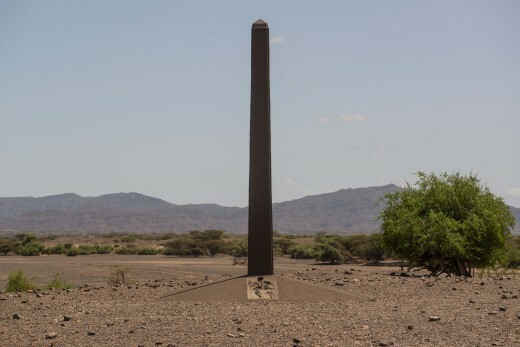 The pillar marking the Turkana Boy’s finding site. In 1984, the world famous Turkana boy was found in Nariokotome, a 1.5 million year old, near complete Homo erectus skeleton. Homo erectus is generally regarded as a direct ancestor of Homo sapiens sapiens – present day humans. Since recently, a monument and a brass replica of the skeleton can be visited at the finding site. The oldest ever traced stone tools with an estimated age of 3.5 million years, is just another one of the many significant discoveries in Turkana which made it to the international headlines. 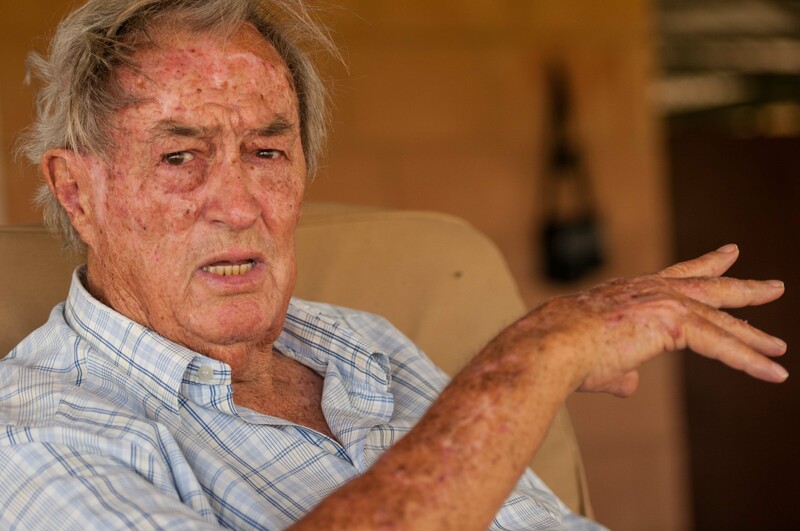 Dr. Richard Leakey, the famous Kenyan paleoanthropologist and founder of Turkana Basin Institute (TBI). The first to recognize Turkana Land‘s historic importance was the world famous paleoanthropologist, Dr. Richard Leakey who established the Turkana Basin Institute (TBI), a research centre and field school that puts Turkana Land on the map in terms of archeology and natural sciences. Tourists can pay day visits to the TBI’s facilities, and do a guided walk to a nearby finding site where they are explained the essentials of detecting fossils – a thrilling insight into archeology. 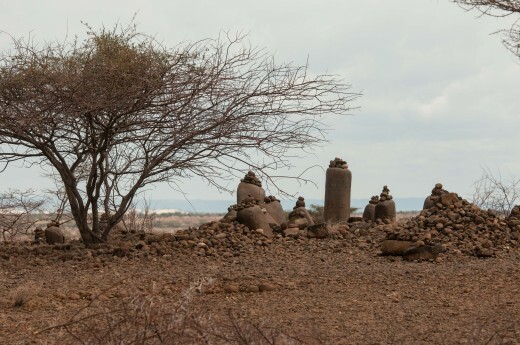 Although from bygone ages, the Namorutunga Standing Stones near Kalokol are still regarded as a sacred site by the Turkana people today. There are also impressive historic sites of the more recent past, such as the Namorutunga standing stones near Kalokol, an ancient site from about 2,000 years ago that is still revered as an important ceremonial site by the local Turkana people today. In southern Turkana, the Lokori Standing Stones mark one of the most impressive prehistoric remnants in the County. An ensemble of standing stones circles as well as mysterious rock art engravings mark a location of great importance to our ancestors. There are uncounted rock art sites spread out all over Turkana Land. Significant reminders of Kenya‘s colonial past are preserved by museum sites in Lodwar and Lokitaung.